If you're starting your home search in the Tri-Valley area, you've come to the right website.I know you have the choice of thousands of real estate websites out there but very few will offer you the tips, suggestions and advice that my website and blog provides. 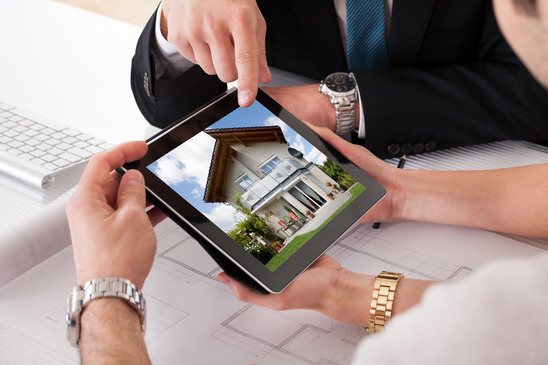 Not only does this website have all the information you need to make an informed decision on your next real estate purchase but our property search features all the latest listings in the entire Contra Costa and Alameda County area. Whether you are looking for a townhome in San Ramon or an estate home in Livermore, you'll find what you're looking for on Key to the Bay. AND when you're ready I can answer any questions you may have on the property and provide you with expert, seasoned and skilled real estate service from beginning to closing and beyond. Start here to find the information you need or begin your real estate search on my site for free. #1. Make sure you have your own agent. Many first-time homebuyers simply use a friend of a friend or find the listing agent of a home that they might have toward in the past. The problem with this is, they may not be equipped to be your buyers agent. There are many agents that specialize in listing or buying and sometimes both. A buyers agent is different than the listing agent. The listing agent works solely for the seller or homeowner to sell that particular property whereas a buyers agent works only for the buyer, finding the right home at the right price for that buyer. There is no hidden agenda to sell anyone particular property. Remember, this is hundreds of thousands of dollars; You want to make sure that you have an agent that has your best interest and confidential financial negotiations at heart. #2. Don't worry about cosmetics. Too many first-time homebuyers see peeling paint, shoddy wallpaper, or small, minor things as a dealbreaker but they really shouldn't be. Consider larger items during the inspection to be your dealbreaker if necessary. Try to look past cosmetic issues and see the structure and integrity of the building itself. Do you like the layout? Does it have enough bedrooms and bathrooms for your lifestyle? Are these small issues that you can change as soon as you move in? #3. Don't go over budget. Just because you are approved for a certain amount doesn't mean you have to maxed that out. The lender will give you a price as the top amount you can afford. If you go under that it means that you have a little extra money each month to play with (or fix up in use on the home). If you max out your budget it might be stressful to make that mortgage payment each month. Try to go at least 10% less than what you are approved for annual have a little extra each month to play with. #4. Understand that homeownership is more than a mortgage. Not only will you have that mortgage payment but you'll have principal and interest, taxes, homeowners insurance and maybe homeowner association fees due either monthly, quarterly or annually. This is all not to mention the additional maintenance and upkeep you'll need to pay on a property. If you're moving from a smaller home into a larger home you may have more to pay in utilities. These are all factors to consider when budgeting for your housing each month. #5. It may simply not be the time to buy. Just because you can afford to buy doesn't necessarily mean you have to. If you're planning on moving in a year or two, changing your lifestyle status or job status, or you're concerned that a mortgage payment might be too stressful, you might just want to wait until you are in a better situation. Yes, interest rates are historically low and there's plenty of homes on the market but if you're not ready, don't commit to the responsibility of homeownership. For more information about buying a home feel free to contact my office at any time or get started on your real estate search here for free.